Indoor digital displays are a fantastic way to get advertisements in front of consumers in a retail environment, at a live event, or in a sport complex. The indoor market is growing fast. Sign companies and OA operators have lots of questions about this emerging market. We sat down with Barry Pearman, Interior Display Systems Director at Watchfire, for answers to the six most frequently asked questions about indoor digital signage. 1. Where is indoor LED digital signage being used the most? The earliest adopters are health care, churches, arenas (separate from sports), and retail locations – basically any area that wants to promote products, sponsors and events happening now or in the future. Health care is using it as both advertising and informational to update patients in waiting areas with details on wellness programs and healthy lifestyle choices. Reminders about flu shots or the availability of getting a full body scan to check for health issues are useful and educational for the public. 2. How is indoor LED signage different from running content on a 4K or OLED TV? Indoor has higher operational reliability versus a television. Replacement parts are available, and the service process makes it much easier to have repairs completed. Also, brightness settings can be more easily modified, and the size of an indoor digital sign can be much larger than what a TV would be capable of. Larger installations using 4K or OLED televisions would show lines from each monitor section, while an indoor digital display would be seamless. 3. What features does an indoor LED display have that an outdoor LED sign doesn’t have? An indoor product can be configured into custom applications that are only limited by the designer’s imagination. Outdoor signs require weather proofing elements and are typically enclosed in cabinets. Indoor can take many formations, with the potential to be fit almost any specifications. 4. What is the ease of operation? Regardless of size, the scalability for content doesn’t take much effort when using innovative and intuitive software. Indoor digital is easier to program, with fewer restrictions than outdoor. Operators can use video with sound and engage their audiences with more creative approaches. 5. Where will indoor LED digital signage grow the fastest? There isn’t a market that indoor digital signage cannot improve. It is the next evolution in communicating messages and information in almost every work space, play space, or shopping environment. The fastest growing markets are the ones with a consumer base. Retail, healthcare and churches are just a few examples. 6. Where do you see indoor digital signage in 5 years? 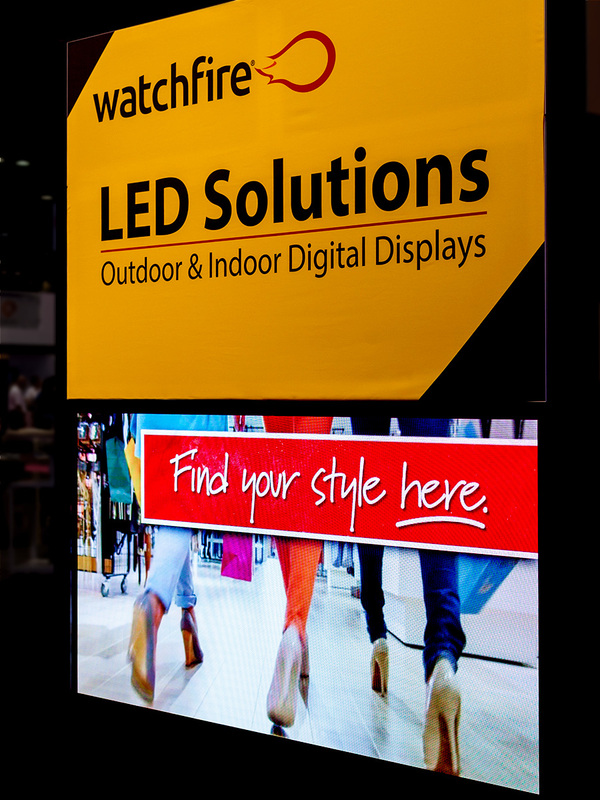 Eventually, indoor digital will be as big as the standard outdoor digital signage market. Millennials enjoy digital word of mouth, and the personalization that digital advertisements bring. Their purchase decisions in a retail environment are driven by how much they feel connected to a brand. “You’re driving consumer purchases through a digital experience,” said Pearman. Indoor digital signage is more than a trend. It’s a dynamic and consumer-friendly advertising method that is here to stay. Those who join in this movement will see first-hand how it contributes to and enhances the broad spectrum of consumer experiences. Learn more about our indoor video walls and digital displays in this free product brochure.